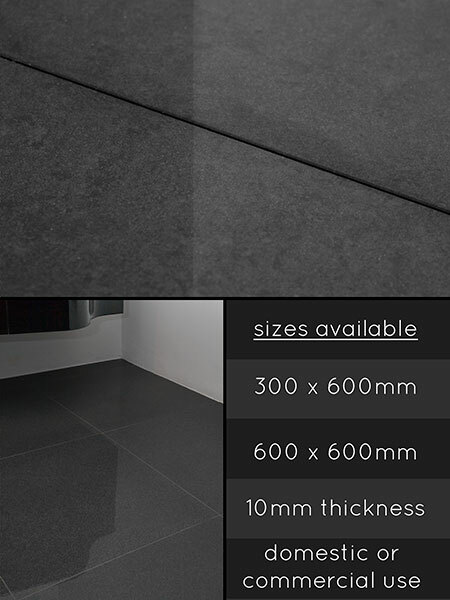 A highly polished gloss black porcelain floor tile with an attractive grey fleck, producing an attractive dark charcoal grey floor. This extremely hardwearing flooring is very easy to maintain allowing your porcelain floor to always look good. * High quality porcelain tiles. * Extremely hard wearing tile. * High gloss Anthracite tile finish. * Porcelain for floors & walls.